ATHLETE PROFILE. Thorough assessment for serious athletes. One of the most comprehensive and meaningful athlete assessment products on the market. The Athlete Profile will inform your training like no other assessment pack. Thoroughly assessing every facet of athletic performance, the athlete profile will give you an acurate and complete picture of your current strengths and weaknesses. Not only that, but the level of directly actionable information that can inform and improve your training is second to none. Individual athlete profiles are available all year round, and periodically we hold group profiling days. 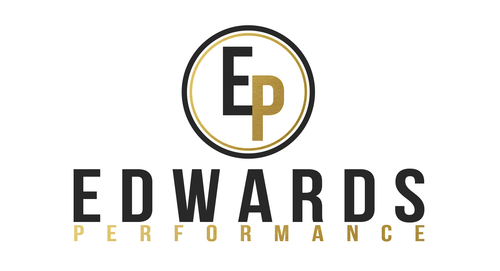 Teams can also hire EP to test and report on their athletes as an outsourcer. Our nutritional needs are as individual as our training needs. One size fits all nutrition is not the best aproach, especially when your performance is so critical. Our metabolic profile gives us insights into what the best nutritional protocol will be for you, in the context of your training, goals and individual characteristics. Are you fast twitch or slow twitch dominant? Are you hip or quad dominant? Are you likely to respond well to intensity, volume or variation? Do you have imbalances that are limiting your performance? These are all questions answered by our strength profile. We aim to give you extreme clarity over which are the best lifts for you, and where you need to focus your training. Addressing weak links and accentuating strengths is the key to higher performance and less injury. Some people are built for short, explosive bursts of extreme energy, others are endurance machines. Some people are gifted for lactic acid work, others for aerobic power. Each type has its advantages and disadvantages within the context of each sport. Find out where your assets lie and how to train optimally to be the fittest athlete you can be. The way you produce movement is incredibly important. You can be a gifted, strong and powerful athlete, but still be putting yourself at risk due to faults in the way you produce and control force. Our injury risk profile assesses the way you produce movement joint by joint. Identifying the faults that are putting your body at risk and limiting your performance. Benefitting from our own highly trained therapy team has serious perks. One is that we can have one of our osteopaths or physiotherapists screen your muskuloskeletal system. This helps us identify joints with poor range of movement, degeneration or restrictions. The integrated aproach of our multi disciplinary team to performance shines through with this component of the athlete profile. If you really want to take the guesswork out of your nutrition and supplement regimen, the CNA is your best weapon. Looking at 38 separate nutrients and biomarkers, the CNA produces a complete and accurate representation of how well you're nourishing yourself. Even good diets can manifest nutritional deficiencies in hard training athletes. Each of us has a different need for various nutrients and it's hard to know if you're hitting your bases without blood work. (This test is only part of the Elite Athlete Profile). Book your athlete profile now. Which Athlete profile are you interested in?